The President of the Students' Union has a very important role in representing LJMU students to the university. They make sure that students are heard when important, strategic decisions are being made by the university that might affect LJMU students. The President is a Student Governor on the University Board of Governors, where she gets to make big decisions that creates real and positive change for students. They also get to work on their own campaigns, which are supported by the Student Union’s staff team. 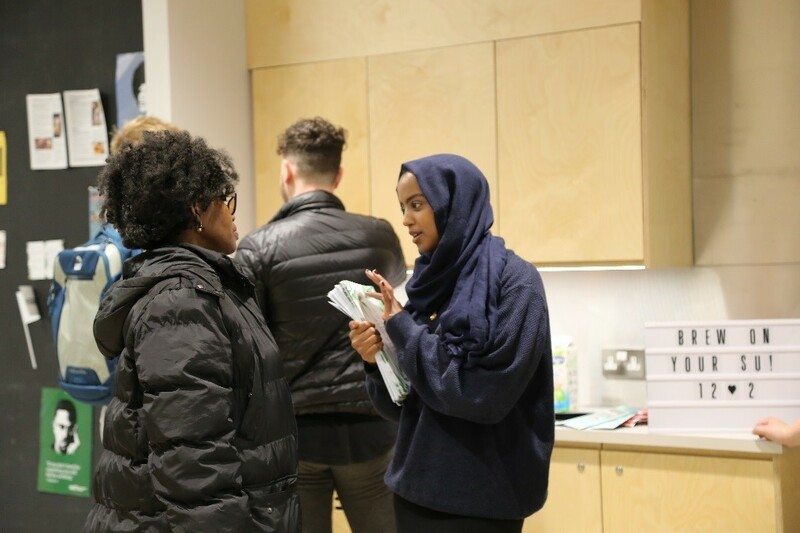 Yasmin’s campaigns this year include work on the attainment gap and the BME student experience and working with Student Advice and Wellbeing to make services more accessible to all students. Picture shows current President Yasmin talking to students in the SU social space. The Vice President Activities focuses on working with and developing our student sports clubs and societies. They will spend time with the student groups to understand their needs and help to increase their membership by promoting them widely to students. 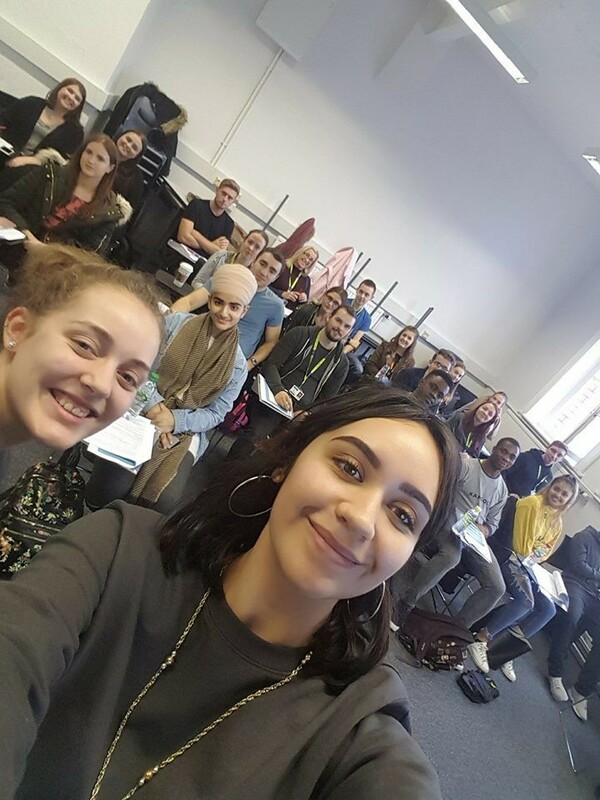 This job involves meeting loads of enthusiastic and energetic LJMU students, getting involved in new activities as well as supporting and promoting social, cultural, religious and political activities. 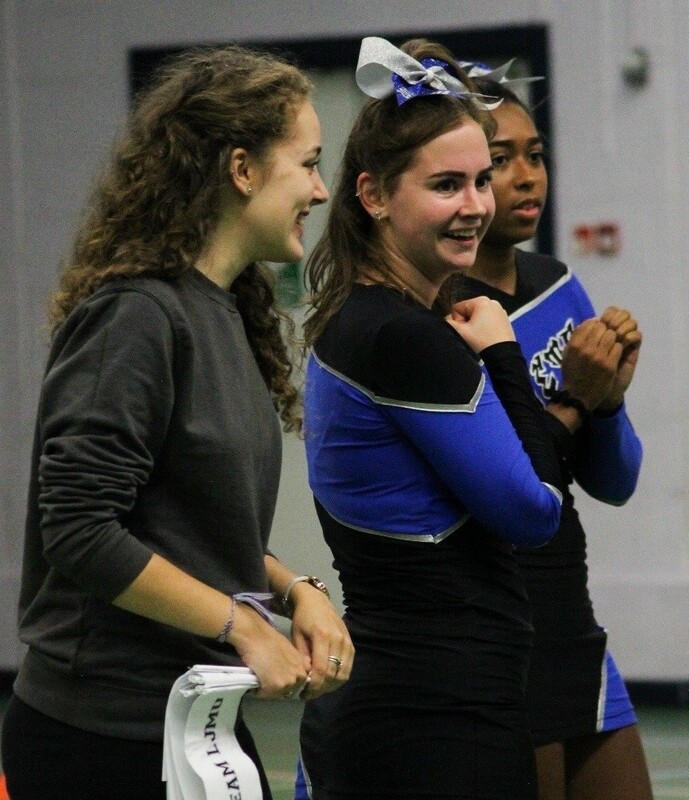 Picture shows current VP Rachael at our Freshers' Sports Day event with Cheerleading Society member. The Vice President Academic Quality works to make teaching, learning and resources at LJMU better for students. They ensure that the university knows what LJMU students need from their education, so that LJMU students are getting value for money from their degrees. They train and work with our large group of student volunteers, Course Reps, to collect and collate this information from every course. Picture shows current VP Angelina at Course Rep training. The Vice President Community Engagement work to make sure that LJMU students feel happy, healthy and safe during their time at university. They work on improving accommodation, safety and transport and are the face of LJMU students for the local community, local councils and national government. Our current Vice President Community Engagement is leading a campaign on mental health and getting better provisions for vegan students. 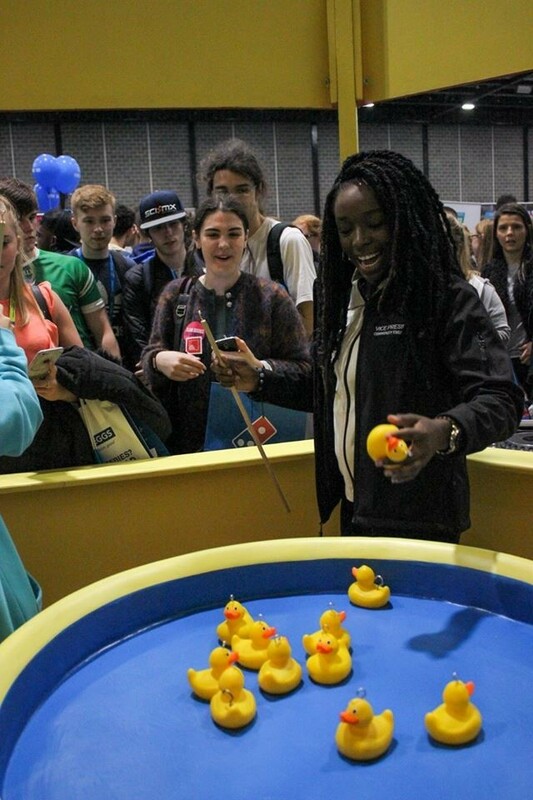 Picture shows current VP Howisha on our stand at Freshers' Fair. Register your interest in the Student Officer roles here.